The dramatic practice of chöd, in which the yogin visualizes giving his or her own sacrificed body to the gods and demons as a way to cut the attachment to self and ordinary reality, offers an intense and direct confrontation with the central issues of the spiritual path. 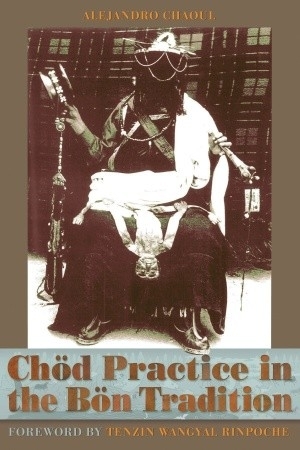 The chöd practices of the Bön tradition, a tradition that claims pre-Buddhist origins in the mysterious western lands of Zhang-zhung Tazig and Olmolungrig, are still almost entirely unknown. Dreaming Me by Jan Willis Gateway to Knowledge Volume 2 by Jamgon Mipham Rinpoche A Heart Full of Peace by Joseph Goldstein Buddha's Brain by Rick Hanson, Ph.D.